Girard-Perregaux revisits the 1960s with a limited edition watch inspired by its successful Gyromatic model which in 1957 introduced the brand's proprietary solution to make automatic movements more compact and thinner. 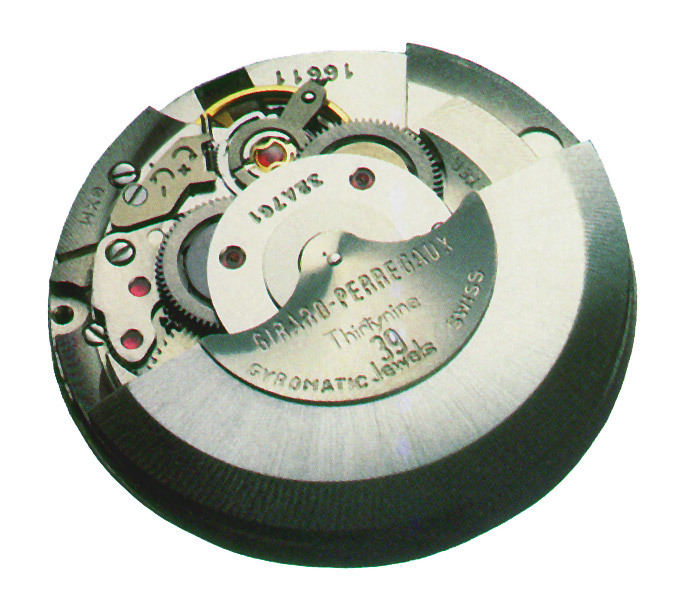 In essence, to convert the winding rotor’s back-and-forth motions that winds the barrel, Girard-Perregaux equipped its Gyromatic movements with unidirectional clutches called gyrotrons to replace the usual ratchet wheels which required stronger - and larger - pawls and teeth. 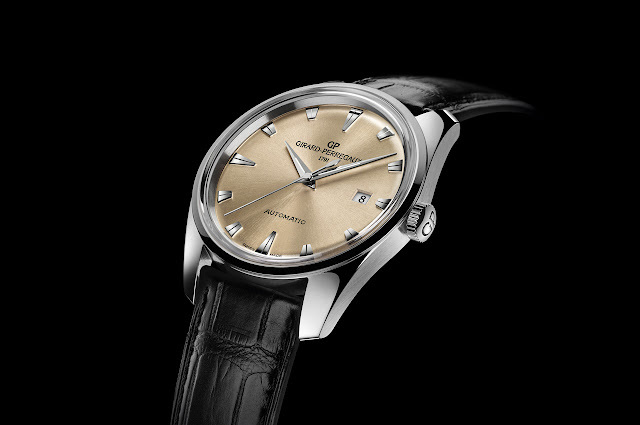 The new Heritage 1957 model does not feature a Gyromatic movement but the design of its case and dial is a tribute to the model that first housed such calibre. The 40 mm x 9.45 mm stainless steel case with polished and brushed surfaces encloses the vintage champagne dial under a sapphire glass box whose shape recalls the plexyglasses used in the past. The dauphine hands with luminescent material and applied indexes enhance the overall retro effect. 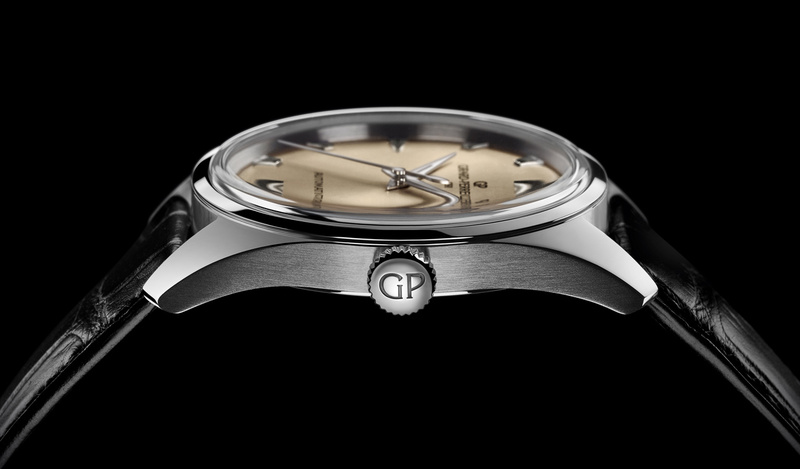 The 1957 features a transparent case back to display the in-house movement GP03300 beating at the frequency of 4 Hz (28,800 vph) and offering a power reserve of 46 hours. The traditional finishes include Côtes de Genève and circular graining decorations on the main plate and oscillating weight. 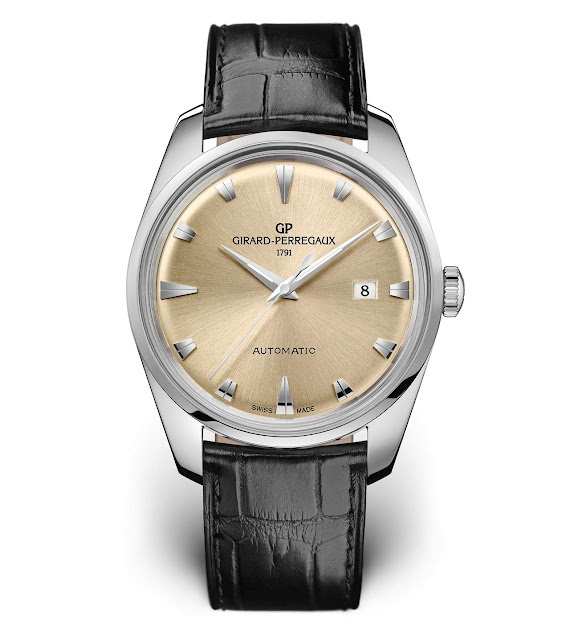 Girard-Perregaux Heritage 1957. Girard-Perregaux 1957. 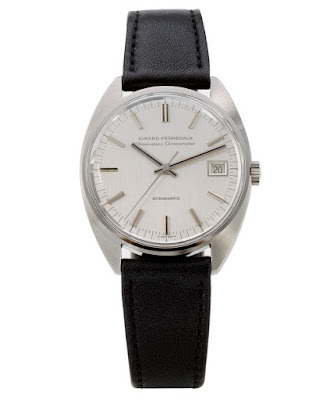 The Girard-Perregaux Heritage 1957 (ref. 41957-11-131-BB6A) will be produced in 225 pieces with a price of Euro 10,700 / US$ 10,300.